The constitutional court ruled that there was no constitutional bar to the speaker of the national assembly, Baleka Mbete, opting to employ a secret ballot in a no confidence vote in parliament. She’d originally asserted that she didn’t have the authority to make this decision, prompting several opposition parties — furious at Zuma’s increasingly dictatorial project of “state capture” — to take the matter to court. South Africa’s judicial system continues to hold firm. This is even though there appears to be a concerted and well-coordinated campaign by a group of politicians and businessmen to undermine the integrity of state institutions as well as to exploit their weaknesses to prosecute a project of self-enrichment and rent-seeking. The campaign is pivoted around the now notorious Gupta family. Zuma has been brought to book repeatedly by the courts. In March last year, the constitutional court found that Zuma, as well as parliament, had violated the constitution. It did so by failing to defend and uphold the constitutional authority of the public protector – who had conducted an investigation into the president’s private homestead, Nkandla. She found that Zuma and his family had unlawfully benefited. He was required to pay back nearly R8m to the state. Yet, following a half-baked apology, Zuma held onto power. In parliament, he’s survived a number of no confidence votes mounted by the opposition. He also dodged two such attempts in the national executive committee of his own party, the ANC — one in November last year and most recently in late May. 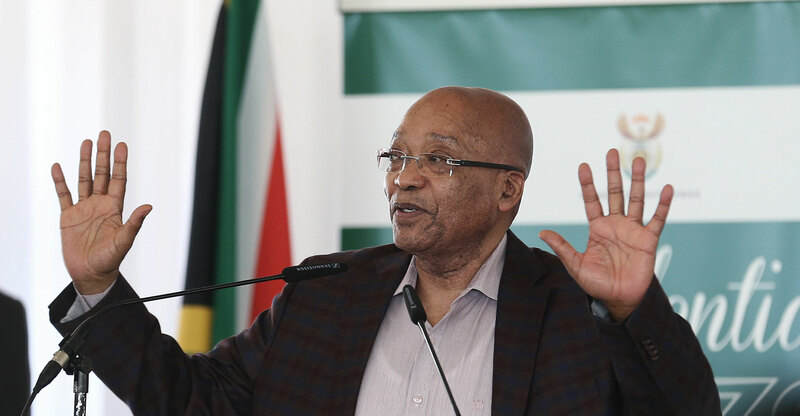 He’s been backed by an increasingly slender yet sufficient number of loyalists and nationalists for whom Zuma provides political cover for their populist and self-serving call for “radical economic transformation”. Despite a cold war with Zuma, Gordhan had held the line against “state capture” for 15 months after his reappointment in December 2015. And so, as night follows day, Gordhan’s removal precipitated an immediate ratings’ agency downgrade. The downgrade added further pressure to an already weak economy, undermining any prospects of economic growth to address the high levels of unemployment and inequality that threaten its precarious social stability. Once again, in response to Zuma’s ill-considered cabinet reshuffle, the Democratic Alliance tabled a motion of no confidence in the national assembly. 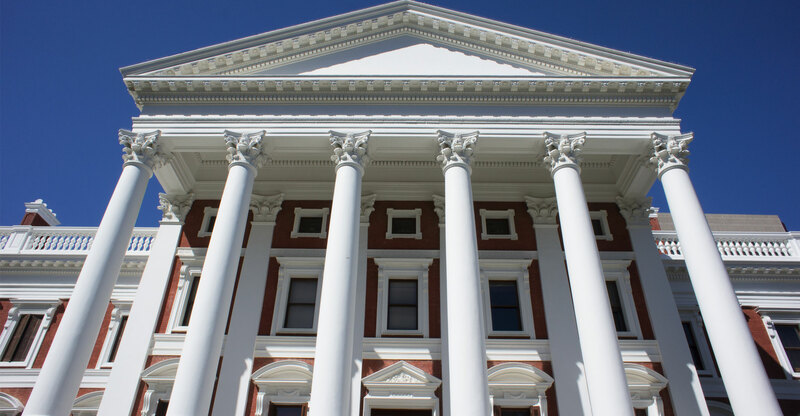 There has been an apparent shift in attitude in the ANC’s parliamentary caucus suggesting that the no confidence vote might have a chance of succeeding. Many ANC MPs are now anxious about the party’s prospects at the 2019 national election and their own political future. Mbete will have to choose between her loyalty to her president as one of the ANC’s ‘top six’ leadership and her duty to the constitution as speaker. Because of this one of the smaller opposition parties, the United Democratic Movement, requested the speaker to use a secret ballot to enable MPs to vote with their conscience. Mbete, who is also the national chairwoman of the ANC, refused. She claimed that she did not have the power to make the decision. Rather it held that, “the national assembly has … in effect empowered the speaker to decide how a particular motion of no confidence in the president is to be conducted”. The implication is that the ability of MPs to vote with their conscience in such a situation is clearly a factor that the speaker should take into account when making her decision. Some critics will regard the court’s “guidance” as insufficiently precise. But the court was clearly anxious not to encroach on separation of powers — perhaps mindful of the virulent claims from some quarters of “judicial overreach”. Later on the same day of the judgment, Zuma was answering questions in parliament. Judging by his typically thick-skinned signs of confidence, the president is not unduly perturbed by the court’s ruling. Parliament returns after its current mid-year winter recess in August. If Mbete once again declines to hold a secret ballot, her decision will, in turn, then be subject to judicial review application. In due course, the court could be forced to order her to hold a secret ballot. So, despite the constitutional court judgment, and the lucidity of its reasoning, a no confidence vote held with a secret ballot is still some way off. Until then, Zuma lives to fight another day. Previous ArticleIs Amazon coming for your industry?